Congratulations and Farewell to the graduates of 2005. We love you and we will miss you. 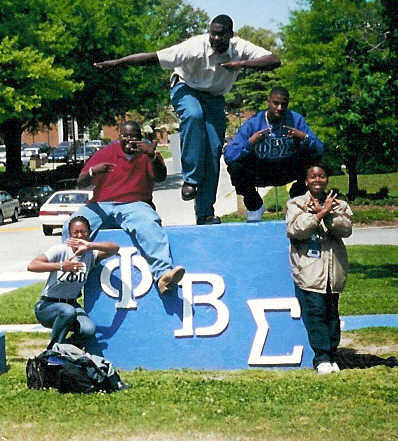 Blu Phi!!! U- Know!!! Introducing the newest initiates into the "Evil" Eta Chapter of the Phi Beta Sigma Fraternity, Inc.
Spring 2005 " Backs Against The Wall"